The resolution, adopted on Thursday with 14 votes and one abstention (Venezuela,) serves as a renewal of EU’s Operation Sophia launched in October 2015. The British Ambassador to the UN, Mathew Rycroft, said the operation has not been able to defeat “the smuggling networks” but has nevertheless rescued more than 26,000 people, helped to apprehend 90 suspected smugglers and rendered more than 300 smuggling vessels unusable. 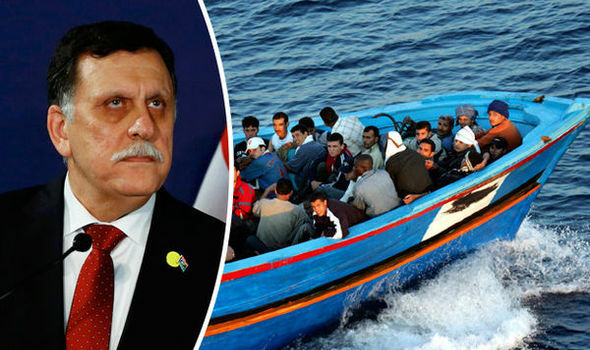 Libyan authorities seem less concerned about the resolution but have vigorously rejected plans by several EU countries, including Austria and Hungary, which have requested the EU to build “a large refugee city” on the Libyan coast for would-be asylum seekers. The authors of the proposal also want to reach an agreement with North African countries to accept rejected asylum seekers. In a press conference on the sidelines of the Organization for Security and Cooperation in Europe (OSCE) Mediterranean Conference, Libyan Foreign Minister Mohamed Taher Siala said such proposals are “very far from the reality on the ground” in his country. 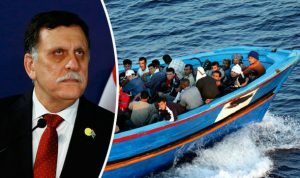 He wondered why the EU would be forgoing its own responsibilities and planning “to dump them on our shoulders.” He said people from Europe being sent back to Libya will only be granted entry if they had a Libyan visa. Siala stressed that the crisis in the country makes such a proposal unrealistic for the Libyan government. The North African country is a principal transit point for migrants hoping to reach Europe illegally. The increasing number of arrivals over the years has put pressure on the EU member states and has developed into a dividing issue between EU members. Meanwhile, thousands of people are anxiously waiting in Libya to embark on the perilous journey aboard unreliable sea vessels. Written by: Peter Mulvany on October 7, 2016. Posted by Peter Mulvany on Oct 7 2016. Filed under Headlines, World News. You can follow any responses to this entry through the RSS 2.0. Both comments and pings are currently closed.